Cover image for K.A. Laity‘s collection of writings – the source photo of the rook was supplied by the author herself before its transformation in my hands. Get your own copy of the Kindle edition here! This book contains pieces that are no longer available or available only in academic journals or otherwise hard to obtain. 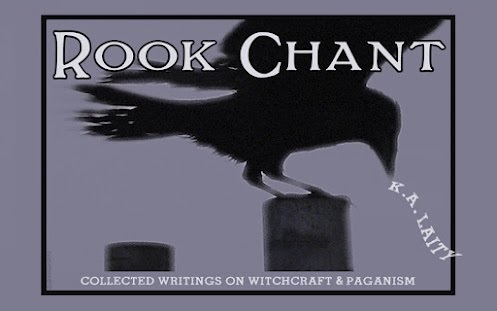 Everything from Anglo-Saxon witches to Alan Moore, Finnish magic and charms. Thanks ever so- I’m quite pleased with this! Looking forward to reading the book, too! Beautiful! I am so happy! You are so good!